Seasoned batter Mithali Raj cracked a half century to guide India to a facile seven-wicket win over arch-rivals Pakistan in the ICC Women’s World T20 here on Sunday. 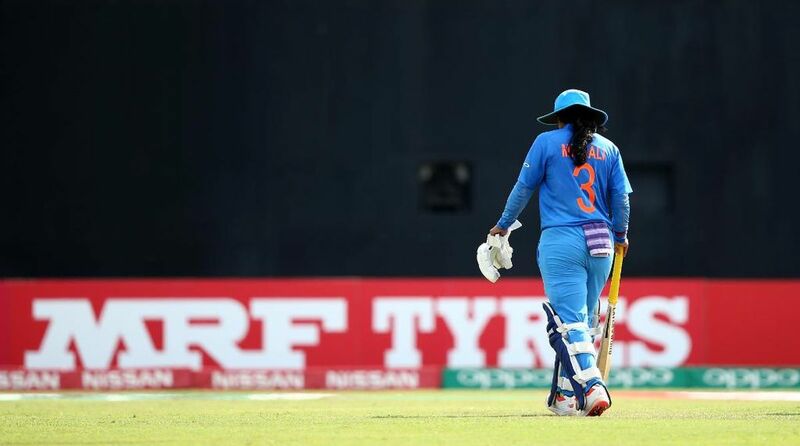 Raj held fort from one end to make short work of India’s run chase with a 47-ball 56 which she made with the help of seven fours in the Group B match which was marred by unprecedented docking of 10 penalty runs on Pakistan. Even before a ball being faced, 10 runs were on India’s scoreboard after Pakistan were docked five-run penalty twice during their innings on account of their batswomen running on the danger area of the pitch during their innings. Nida was the beneficiary of a piece of good luck when Veda dropped an easy catch at long-off off Radha Yadav’s bowling even as the ball slipped through for a boundary.